The first issue of Destroyer was all promise, with it’s compelling and timely premise and gorgeous artwork. Issues 2 and 3 deliver on a lot of that promise. There’s a lot more action in these issues as well as a lot more depth of feeling as we delve into the real meat of the story. The literary allusions are a little on the nose, especially in a work that’s a little too serious to fall under the category of pastiche, but as the story gets darker I find these humorous nods to the book’s inspirations to be a welcome bit of lightheartedness. 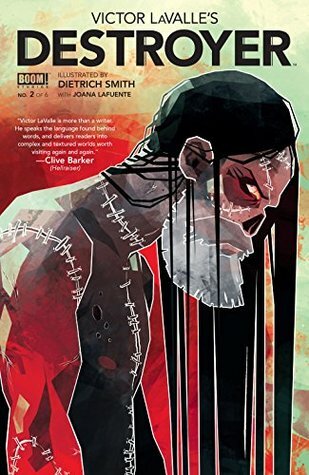 Also, and probably because I’m not a great reader of comic books, my favorite thing about this series so far is Victor LaValle’s essay at the end of Issue 3 where he writes about how the two different endings of Mary Shelley’s Frankenstein led him to write this comic. 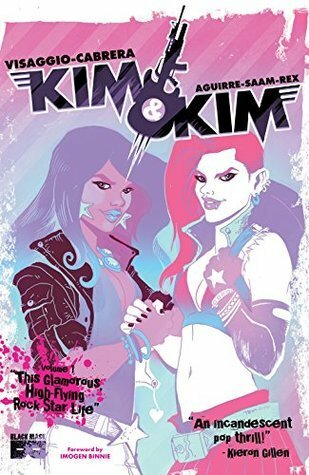 I'm giving away free PDF copies of KIM & KIM VOL 1 to ppl who donate $20 or more to @TrevorProject or @Translifeline & sends me the receipt. 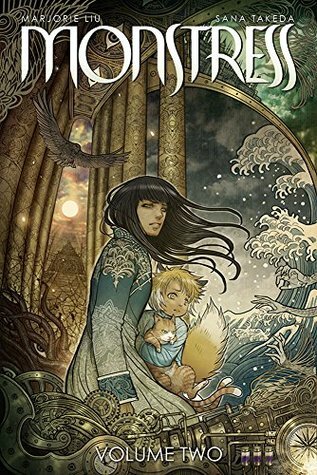 The second trade paper installment of Monstress is, like the first, a true thing of beauty. Every page is filled with Sana Takeda’s sumptuous artwork, which is in turn full of gorgeous details, erudite flourishes that reference numerous artistic inspirations, and subtly lovely colors that marvelously convey setting and mood. With a title like “The Blood” I was rather expecting more of the same unflinching brutality as in the first book, but that’s not so much the case. Instead, this volume combines Maika’s continued search for answers about her identity, the increasing danger posed by the Monstrum that lives inside her, and a seafaring journey with a fascinating and visually distinctive new cast of minor characters. Angel Catbird has never been more than a light, fun likely-vanity project of Margaret Atwood’s, and it didn’t suddenly transform to something more profound in its final volume. The Catbird Roars has the same deliciously silly verbal puns and visual gags that characterized the first two volumes, the same occasional side-barred cat facts encouraging readers to keep their pets indoors, and the same fast-paced absurdist plot that has our heroes dealing with the evil rat army once and for all. The biggest thing that sets this volume apart from the rest is the excellent foreword by Kelly Sue DeConnick, which tells us more of the inspirations and thought process behind Angel Catbird and to put it into a historical context that explains some of its quirks. As someone who is only lately getting into reading comics and doesn’t have a wide knowledge of the longer and broader history of the form, this information really helped me to understand and enjoy the book more fully.